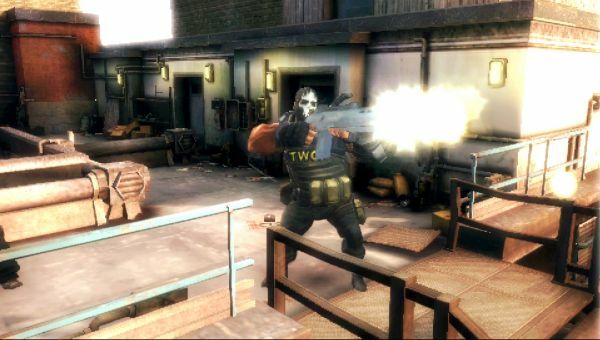 We were fortunate enough to get a few questions through to Joe Khourry, Producer of the PlayStation Portable version of Army of Two: The 40th Day. 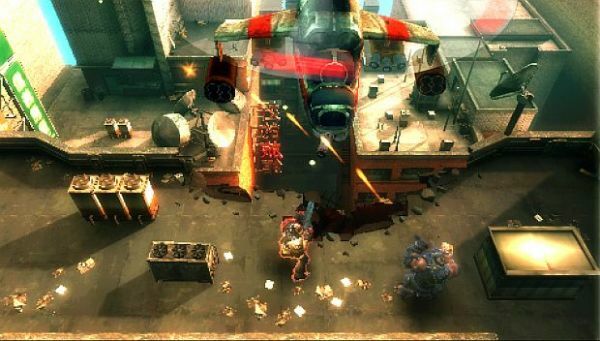 After our PAX interview, we realized that very little has been shown of the portable version, which will include co-op; in fact, much of the console version is being carried over in what we hope will be a fluid co-op shooter on the go. Co-Optimus: What other PSP or portable games did you use as an influence for this version? Joe Khourry: Not much on the PSP itself, but there is a lot of influence from Contra, Robotron, Smash TV and old school dual stick arcade shooters. On the PSP specifically the closest influence would be Killzone: Liberation and Resistance: Retribution although both take a much more tactical approach then we do (and less coop). God of War: Chains of Olympus also was a good reference for some character introduction screens, ingame story telling elements and battle pacing. Is the storyline identical to the console versions, does it correlate somehow, or is it completely different? Gun parts will be upgradeable in three tiers, which is still robust for a portable game. Will we see any of the customization that we've seen in the console versions? Joe: Our weapons in the PSP are upgradeable. Unlike the console versions, you can’t take parts of different guns and piece them together, but you can take different parts of your weapon and upgrade up to 3 levels each. So far, we've heard that co-op will only be playable in ad hoc mode. Is this due to a technical limitation, or was it a conscious design decision? Joe: It was a conscious decision. 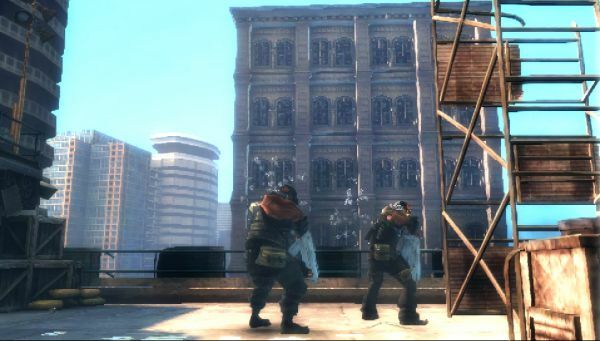 Army of Two focuses on gameplay moments that require players to communicate and make a choice together. Whether it’s a moral choice or how they will engage the enemies, we want that coop experience on the train/plane/sofa as much as is in the console. Most gamers will want to play the game with someone they can sit and laugh with especially when they are both on the move. We figured the best approach is to make sure that experience is 100%. Fast-paced action sequences like this are best played locally. Will the "morality system" show up in the PSP version? Joe: Yes, it's in the PSP version as well. Is this going to be a PSPgo title, or UMD only? Finally -- Will we still be able to use dead hippos as cover? Joe: What is it with dead hippos as cover? ;). Unfortunately as we stand the dead hippos in PSP are in a hippo pen that’s part of a rail ride. So the enemies use them as cover but you are in a tram that’s moving, and you use that as cover. There are some other previews floating around this week worth reading, so be sure to check them out. It looks like this title is shaping up both on home consoles and the PSP.